COMPETITION: Win 1 of 3 copies of A Very English Scandal on DVD! 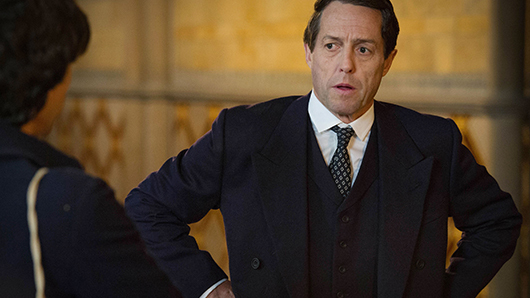 Hugh Grant and Ben Whishaw star in the shocking new political scandal drama A Very English Scandal, out on DVD now. Based on real events in the 1960s, Grant stars as Liberal leader Jeremy Thorpe, a brilliant politician harbouring a big secret. When this secret threatens to come to light, he takes desperate measures to ensure his reputation maintains intact: by planning the murder of troublesome ex-lover Norman Scott (Whishaw). The story shocked the country when Thorpe was brought to trial for his horrific misdeeds, serving as a painful reminder of the deep, dark secrets of the Establishment. 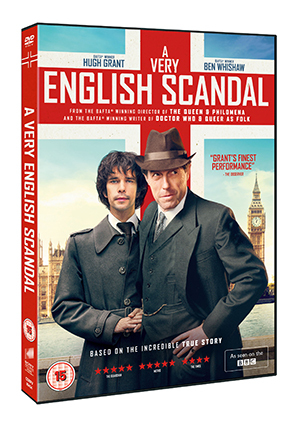 To celebrate the release of A Very English Scandal on DVD, we’re offering TVGuide.co.uk users the chance to win one of three DVD boxsets! This competition closes on July 23 and is only open to UK applicants. Please see full Terms and Conditions here. A Very English Scandal is available to buy now.